If Question 1 passes, attorney Stephen Langsdorf said it would be reasonable for most employees to treat marijuana use as they do alcohol consumption -- that they shouldn't use or be under its influence at work. If Maine legalizes marijuana, it doesn’t mean employees could light up during smoke breaks. But there will be more incentive for state officials to come up with a workable definition of what it means to be “under the influence” of the drug and for employers to review drug and alcohol testing policies. 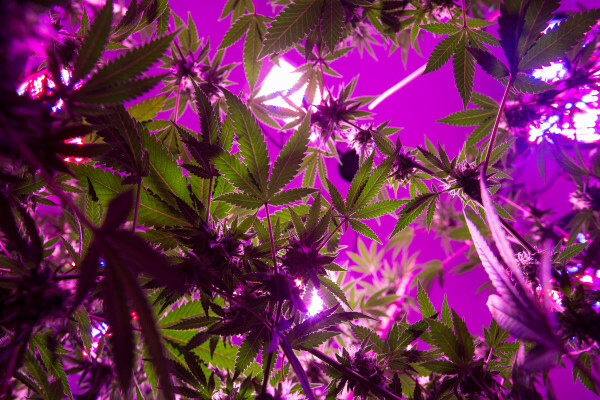 If made law, the Question 1 proposal would codify two concepts related to employers: that the law doesn’t limit their ability to restrict marijuana use by employees and that a school, employer or landlord can’t discriminate against a person solely because they used marijuana off of the property. The law, as with other states that have legalized, falls within a network of federal and state workplace laws that stand to affect each occupation and each state differently, making it hard to determine just how a state court will interpret the interaction. If Question 1 passes, attorney Stephen Langsdorf said it would be reasonable for most employees to treat marijuana use as they do alcohol consumption — that they shouldn’t use or be under its influence at work. “Employers are certainly going to make their position on the issue clear,” said Langsdorf, who’s represented medical marijuana growers in Maine and published an article on medical marijuana in the workplace in the most recent issue of the Maine Municipal Association’s magazine. Employees, know your company’s drug and alcohol testing policy. At the federal level, marijuana remains in the same illegal drug category as heroin. So companies that rely on federal funds or regulation by specific federal agencies have the toughest workplace drug testing rules, with a requirement to maintain drug free. That includes interstate truck drivers, contractors and subcontractors on federal jobs, and other occupations where safety and security are a top concern. Most employers in Maine can fire an employee for any reason that’s not specifically prohibited by state law. For such at-will employers, that includes if an employee came into work and seemed impaired by marijuana or other drugs, according to Julie Rabinowitz, spokeswoman for the Maine Department of Labor. Another group, which includes at least 534 employers, has state-approved policies for drug testing, as of last year. Those plans are governed by state law, which includes guidelines and protections for employees, outlining when and how drug tests can be required or used. Employers with more than 20 full-time workers also need to set up a program to help employees who test positive. Employers with drug testing policies can either test applicants, existing employees for which there’s probable cause for a test or perform random tests. Only companies with more than 50 employees can do random testing under state law. For the companies that test, the vast majority of positive tests involved cannabinoids, the class of chemical in marijuana that has a psychoactive effect, according to the Department of Labor’s latest annual report on workplace drug testing. Compared to alcohol, it’s harder to tell when an employee is under the influence of pot. Some of the legal questions around marijuana use and the workplace may remain untested ground a while. There are some precedents in other states, but Langsdorf cautioned against using those to indicate how courts in Maine might rule. Since Maine approved medical marijuana in 1999, the courts have not clarified critical questions, such as how exactly to define “under the influence.” For alcohol, the workplace standard is 0.02 grams per milliliter. With alcohol, blood tests are more reliable as evidence showing how recently someone consumed it, simply because the human body metabolizes alcohol more quickly. Any sign of it in the blood indicates use relatively recently. For a habitual marijuana user, the active tetrahydrocannabinol, or THC, can be stored in fatty tissue and appear in blood tests for weeks, depending on the frequency and intensity of use. In the workplace, that can make it harder to directly tie a positive drug test result to being impaired on the job. More evidence goes into making a determination of impairment. According to Langsdorf, for marijuana that depends less on testing and more on testimony about an employee’s performance, attendance and other factors. “It’s based on work product and testimony and observations, all the same ways that you would try to prove that someone was drinking on the job,” Langsdorf said. That’s where state officials say they’re working on guidelines and instruction for employers, not just for marijuana but other drugs, too. Rabinowitz said a program’s in development through the labor department’s SafetyWorks program, in a partnership with the Maine Center for Disease Control and the Department of Health and Human Services. “It would also have a little more in-depth discussion around assessing impairment particularly as relates to marijuana and perhaps prescription drugs so that you can just have a better sense of when you need to pull someone away from a piece of equipment or send them home,” Rabinowitz said. Drug-testing policies could be in for changes that the state has sought for years. Maine’s Department of Labor has for years tried to change laws around workplace drug testing, an effort that began in response to the expansion of Maine’s medical marijuana program in 2009 and grew to encompass concerns about opioids and other drugs. Passage of Question 1 would likely put more pressure on lawmakers to clarify those areas of employment law in the upcoming legislative session. The previous effort, LD 1384, would have expanded the times when employers with testing plans could require for-cause drug or alcohol tests, eliminated cost-sharing requirements for substance abuse rehabilitation not covered by health insurance — for employers with more than 20 full-time workers — and opened random drug testing to more workplaces. The bill died between chambers but revealed that it’s an area of state employment law where business groups such as the National Federation of Independent Businesses and the Department of Labor are already pushing for change. And between now and when the Legislature could take up the issue again, there’s an election.